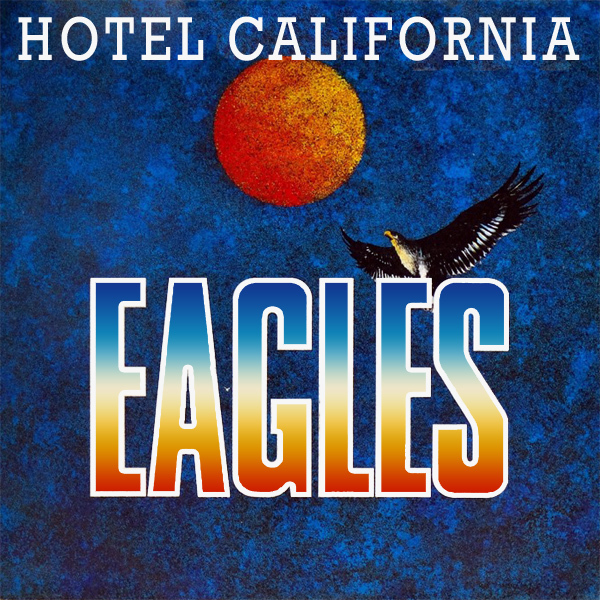 A week of remixes of superband Eagles would not be complete without a remix of their all time classic, Hotel California. Let's ignore the original cover which has an eagle, but little else to distinguish it, and instead focus on the remix. What would a hotel in California look like? Well, for one the sun would be shining. For another, it would have a red carpet leading to the building. And for another it would have some hot babe standing with her luggage waiting for the bell boy. Lucky bell boy!